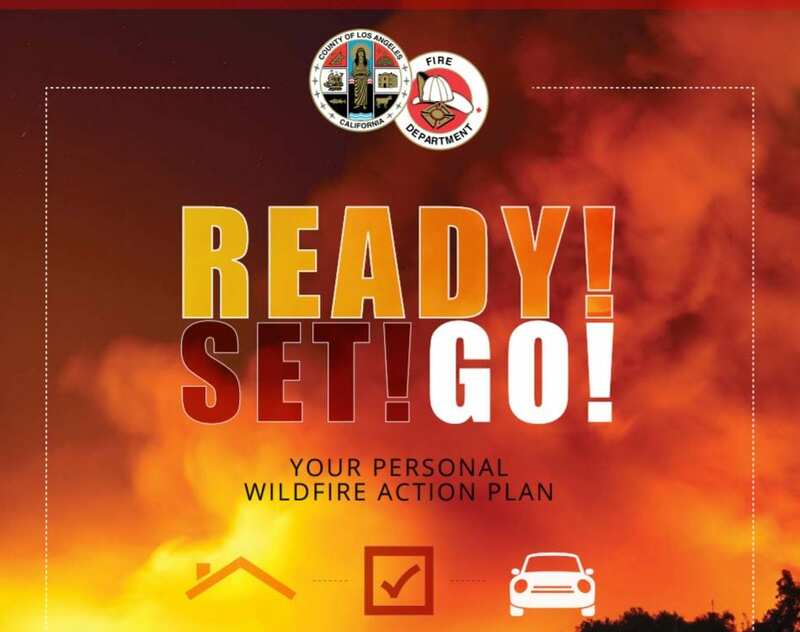 The Los Angeles County Fire Department has launched an updated “Ready! Set! Go!” program to assist residents living in wildfire-prone areas. The program features a 16-page Personal Wildfire Action Plan as well as a step-by-step video guide to teach residents how to create defensible space and safeguard their homes to make them more fire-resistant. The Ready! Set! Go! brochure is designed to provide residents with critical information to help educate, prepare, and evacuate for an emergency. Brochures are available to download here or a free hard copy may be requested by e-mailing info@fire.lacounty.gov.